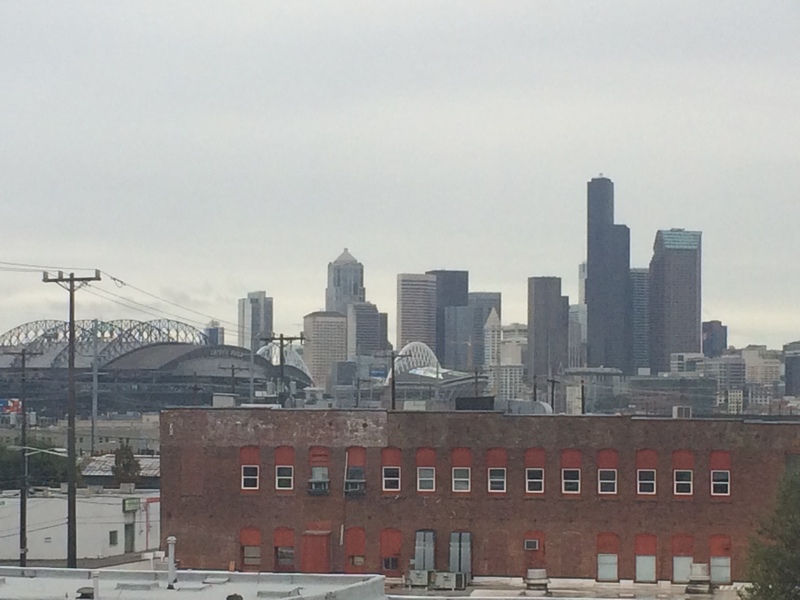 South Seattle, gray and industrial. I like music about travelers, about those showing symptoms of wanderlust. I love Bob Dylan’s “Like a Rolling Stone” so much I’ve tattooed some of the lyrics on myself. Today, I’m coming off a high I always feel when traveling. I spent the weekend in Seattle celebrating the wedding of one of my best friend’s from college. I spent three days and some change squeezing in as much quality time as possible with friends and family before jumping on a red flight last night and waking up in New York this morning. 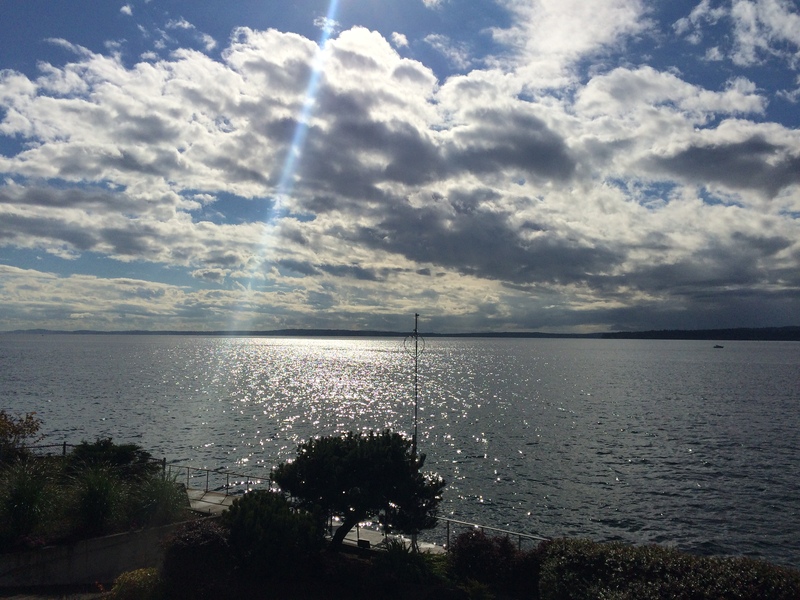 Overlooking the Puget Sound as the sun breaks through the clouds. Though I feel like a groggy and depressed zombie today, I’m managing to milk the remaining blissful feelings I had over my three-day, cross-country excursion. As I’ve written on this blog in the past, I have a hard time with the notion of staying put. Since leaving the town I grew up in at eighteen, I’ve spent six years in Seattle, two in Portland, and am now entering my third fall living in Brooklyn. I’m feeling that itch to travel again, that call to visit the wild unknown country. Since I won’t be able to do so anytime soon, I’ll resign myself to researching next year’s trip to Texas and listening to music about those who wander. I started to put together a Spotify playlist of wandering music, when two things donned on me: one, that I only seem able to remember country and classic rock songs about this subject; two, that only one song by female artists comes to mind when I think about wandering. I’d like to keep adding to the list, especially songs by women. I’d like to know that I’m not the only rambling woman.